Suddenly, in the wake of Beijing’s most recent interpretation of the Basic Law, it seems everybody—from retired civil servants to taxi drivers—is a legal expert poised to launch a judicial review. Indeed, so far all last week’s ruling by the Standing Committee of the National People’s Congress has accomplished—besides, of course, effectively barring two duly elected Hong Kong legislators from taking office—is to prompt what could be an endless flurry of lawsuits challenging every official oath ever incorrectly uttered, no matter how small, inadvertent and insignificant the offence. 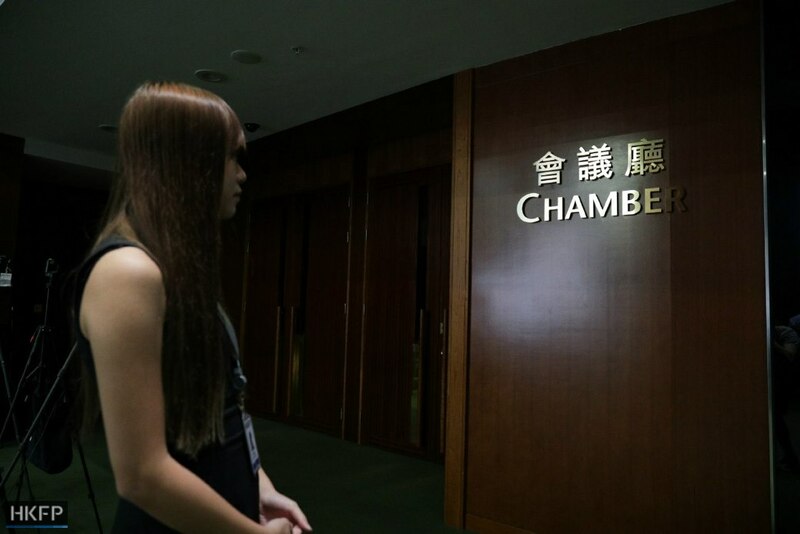 There is no doubt that the Youngspiration duo of Sixtus Baggio Leung Chung-hang and Yau Wai-ching, with the clear intent of showing contempt for and defiance of the Hong Kong and central governments, deliberately mangled their oaths during last month’s swearing-in ceremony for a new Legislative Council term. The two localists used the term “Chee-na”—a pejorative favoured by the Japanese during their colonial conquests in Asia—to refer to the mainland and pledged allegiance to the “Hong Kong Nation.” Yau even tossed in an obscenity (replacing the required “People’s Republic of China” with the “People’s Refucking of Chee-na”) for good measure. 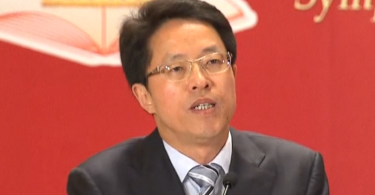 The Standing Committee’s interpretation of Article 104 of Hong Kong’s mini-constitution, which states that all legislators must “swear allegiance to the Hong Kong Special Administrative Region of the People’s Republic of China,” was aimed squarely at the terrible twosome and made a point of prohibiting any second oath-taking chance for them. So Leung and Yau will lose their jobs as lawmakers, not to mention salaries amounting to HK$95,180 per month plus generous allowances for entertainment and travel. Most people in Hong Kong will not mourn for them, however. They were rash and foolish, and it has cost them—and their cause—dearly. But now, in what would amount to a veritable purge of dissident voices from LegCo, Chinese officials such as Legislative Affairs Commission vice-chairman Zhang Rongshun and Wang Zhenmin, legal chief of Beijing’s liaison office in the city, have raised the spectre of expelling 13 additional pan-democratic lawmakers who also committed acts of protest during their oath-taking, even though their oaths were accepted by LegCo’s secretary-general. Picking up on their cues, Hong Kong taxi driver Robin Cheng Yuk-kai filed a judicial review against eight pan-dem legislators—including Nathan Law Kwun-chung and “Long Hair” Leung Kwok-hung, LegCo’s youngest and oldest radicals —for violating their oaths, and two more pan-dems have been named in other lawsuits now pending. 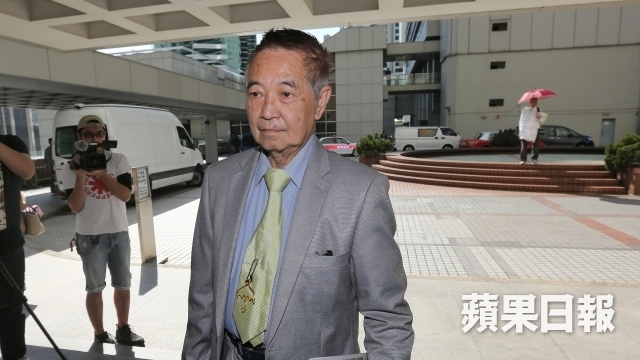 In response, retired civil servant Kwok Cheuk-kin, who has made of habit of court challenges to the Hong Kong government, on Friday asked the High Court to invalidate the oaths of Chief Executive Leung Chun-yin and four pro-Beijing lawmakers because of errors they made during the swearing-in process. 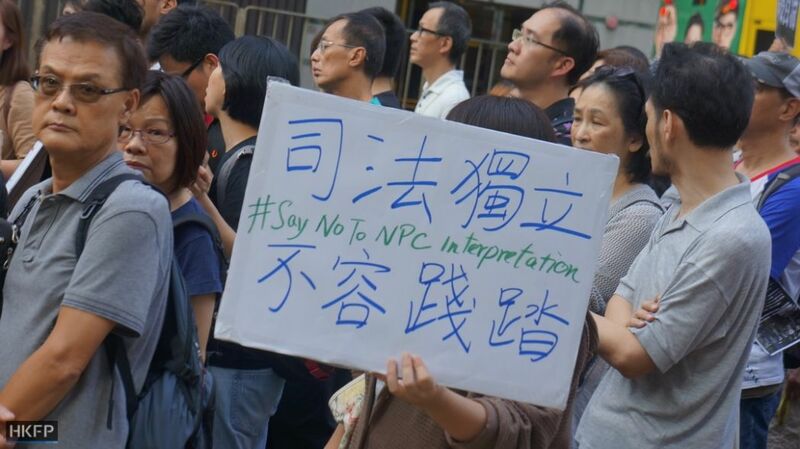 The record shows that Leung forgot to mention “Hong Kong” in his 2012 pledge while legislators Ann Chiang Lai-wan, Abraham Razack and Wong Ting-kwong also made mistakes of omission or pronunciation when they spoke their oaths last month. With the city still awaiting a decision on the unprecedented judicial review filed against the Youngspiration duo by the Leung administration, Hong Kong judges have a lot on their plates right now. The Standing Committee’s interpretation appears to have predetermined the ruling in the government’s case against Leung and Yau, but that is hardly the end of the story as all these other legal challenges crop up. In the end, though, where is all this litigation and lawyer-speak leading us? The Standing Committee’s interpretation may have been couched in legal terms, but ultimately it has nothing to do with the rule of law. 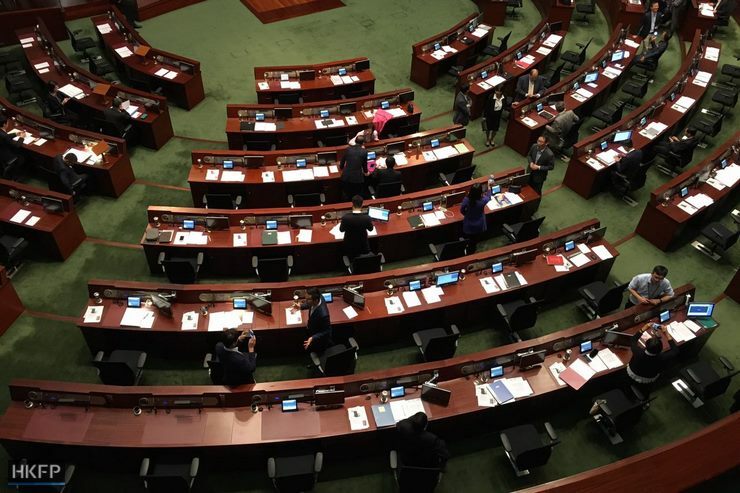 It is a political edict issued to keep those who advocate Hong Kong independence or separatism out of the city’s legislature, even if they have been duly elected by the people of Hong Kong. No one, whatever their political persuasion, should be surprised by that. Legal arguments, no matter how powerful, are irrelevant at this point. This is Beijing’s bottom line. But that bottom line has its own complicated array of possible consequences, with profound implications for Hong Kong’s future as a semi-autonomous, quasi-democratic city under Chinese rule. The biggest question right now: Is the Standing Committee’s ruling retrospective? That is, does it limit the LegCo purge to Leung and Yau, who were not allowed to retake their rejected oaths, or does it also include oaths that were previously accepted but now appear to breach this latest directive? 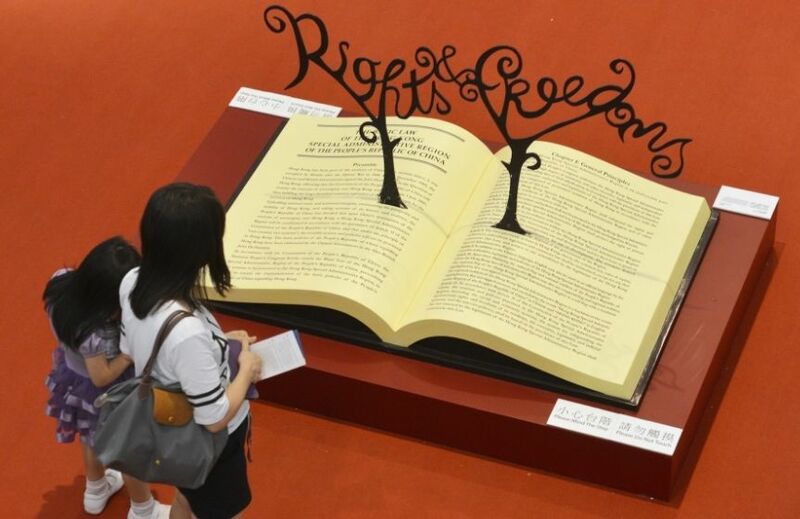 As the ruling makes no mention of retrospection, it should be up to Hong Kong courts to decide on this aspect of the interpretation, which is the only good news to come from Beijing’s most recent freedom-sapping intrusion into Hong Kong affairs. If Leung and Yau turn out to be the only victims of this debacle, then the crippled Hong Kong political system can limp painfully along. An all-out purge, however, would create open revolt and legal chaos. Sadly, these are the city’s options at this point.